Without a doubt, stress and anxiety severely limit healing and lead to difficult outcomes for people who are already fighting chronic diseases like cancer and mindfulness mediation, also known as MBSR has proven a powerful tool to reduce anxiety, improve the quality of life and boost your immune system naturally helping you keep chronic disease at bay. Mindfulness meditation was introduced to numerous American hospitals during the past 30 years by Jon Kabat-Zinn who teaches at the University of Massachusetts. Although there are many types of meditation, this type consists of focusing on the sensations of the present moment. That’s it…nothing more, that simple. Breath is used as a focal point by bringing the attention constantly back to the feeling of the breath as it travels in and out of our nose and chest. When we release our “mind chatter” and focus only on the present moment, we are granted freedom from the past (which is long gone) and future (which never arrives because it is the now moment when it does arrive) and we get anchored in the sensations of life itself as it manifests “now”. 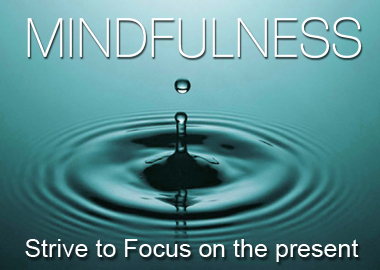 Mindfulness meditation is increasingly popular as a powerful healer both physically and emotionally. An accumulation of scientific research has shown mindfulness meditation helps repair damaged neurons and form healthy new neural pathways; elevate mood and eliminate depression symptoms; alter the size and shape of the brain; and stave off chronic illnesses like cancer, heart disease or blood pressure. Mindful meditation works to improved mood, boost immune function and decrease stress; we learn to “quiet the mind and relax the body” while observing thoughts. It puts us in control and no longer are we subject to negative unwanted thoughts that contribute to anxiety, stress and unhappiness. According to Meredith Melnich of the Huffington Post, mindfulness meditation not only helps reform cellular and neuronal connections in the brain, but it also helps over time to change the way we perceive the world. When we meditate this way, we are physically changing the structure of the brain which then rewires the brain to function on a whole different level…a whole new plane. The neurons and cells of the brain are always at work making new connections and disrupting old ones based on stimuli they receive back. Researchers call this “experience-based neuroplasticity”. When the neural circuits of the brain are affecting it affects how we respond in situations and circumstances. Even the physical structure of the brain is changed with some ar3eas thickening and others becoming less dense. You might compare meditation as “exercise to make your mind strong and flexible” whereas your physical exercises are performed to make your physical body strong and flexible. Mindfulness meditation training increases physical and mental health by strengthening the immune system and the mind’s physiological responses to stress and negative emotions/situations; strengthens and improves family and social relationships with friends and strangers; reduces anxiety, stress and depression, increases happiness and a feeling of well-being; as well as opening one up to experience, awareness and consciousness. When you meditate, you focus your conscious attention inward and eliminate the constant chatter of voices and thoughts that are crowding your mind causing you added stress. Daily meditation allows us time to clear the information overload that constantly creates dramas in our minds…you know, building “mountains out of mole-hills”. When you are “mindful” you are aware of thoughts and actions in the present moment but it is an awareness without judgment. It helps us to be present no matter what the circumstances. It’s clear that mindfulness meditation is so beneficial to the mind and body it would be a shame not to take advantage of such a free powerful too. Meditation is only one of many tools you can use to build your immunity to cancer and other destructive chronic diseases. If you’re curious and would like to know if there is an invisible cancer threat hanging over your head right now you can take my “1 minutes test” to find out how you fare on the Cancer Risk Scale.